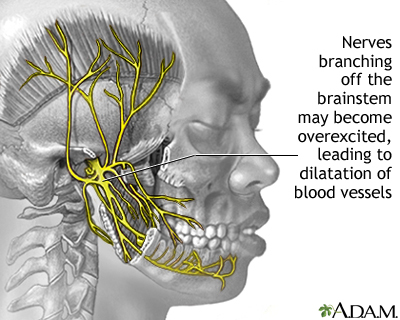 One theory of the cause of migraine is a central nervous system (CNS) disorder. The CNS consists of the brain and spinal cord. In migraine, various stimuli may cause a series of neurologic and biochemical events which affect the brain's vascular system.